Port Mathurin is not only the economic capital and administrative center of Rodrigues Island but also a small sparkling town filled with bubbly smiles. The people you meet in the narrow streets are of amazing courtesy and good humor. 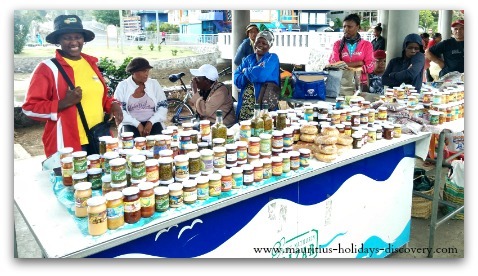 Life in Port Mathurin is centered around its shops and administrative services. You will not find large shopping malls as in Mauritius or road traffic bottlenecks. The town lives at a relatively slow pace, but nonetheless, authentic to itself. Although the old colonial dwellings deeply contrast with the administrative buildings, hardware stores, tobacco and pastry shops and small restaurants, the neighborhood is nevertheless gracious and charming. The city also accommodates the residence of the former British governor. From the bus station, public buses rotate all day long to connect various important villages of the island. In the early morning artisans, office workers and other travelers converge there for their usual occupations. The urban activity gradually calms down in the afternoon as people leave the town. Schoolchildren and college students carry away with their shouts of joy the vibrant bustle of the city which then, tossed by a gentle and fine sea breeze, progressively drift in a restful sleep. The only harbour of the island is found here. If it is your lucky day, you can see from the waterfront one of the ships that connects Mauritius to Rodrigues every week docking or leaving the port. 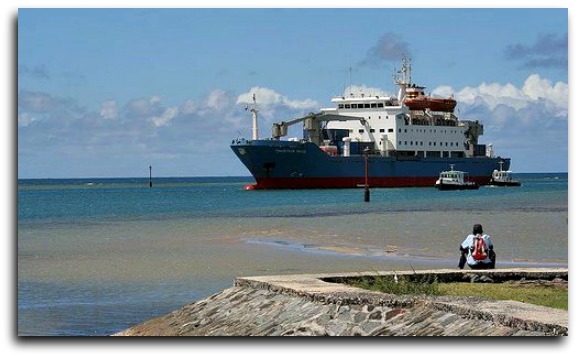 These vessels regularly feed the small autonomous outer island of the Republic of Mauritius with staple foods and other products. The capital is a popular spot for tourists. The contagious effervescence of the market on Saturday morning, however, will not leave you indifferent. At dawn, residents from all corners of the island converge there to sell their products. Behind tables with plentiful jars of hot chili-octopus, sweet and sour lime, eucalyptus honey, pickled tamarind-pepper and other delicious foodstuffs, beautiful Rodriguan women with shy glances invite you to discover their traditional skills. Their bright smiles and melodious voices will finally convince you to taste these authentic flavors. Salted fish and dried octopus are not to be set aside. They are prominently displayed on the shelves and occupy a substantial place in the local food. The Rodrigues tourte, a short crust tart base pastry, garnished with grated coconut and mango or papaya jam is a real treat. You will not miss to find the Mauritian roti cooked and served with tasty curry of the Rodrigues cuisine. At the market, the fresh local produce displayed on the shelves reflects an island with a profound agro-ecological vocation. The subtle scent of vacoa, vetiver or raffia always gives me a sensation of well-being and nostalgia. The leaves and stems of these tropical plants are used by Rodriguan craftsmen for making straw hats, baskets and other handicrafts. 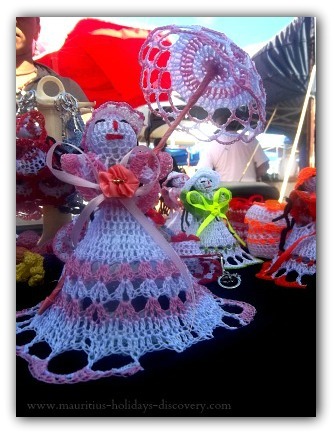 These colorful wickerwork crafts, which are nice original gifts, enhance the liveliness of Port Mathurin. Handicraft forms an important part in the economic life of Rodrigues. Everything is homemade or handmade, ranging from jam to embroidered towels and table cloths. The capital of Rodrigues will surely surprise you in a pleasant way.